Guest Liz Curtis Higgs has received some tough answers from God—but she says those answers are the best thing to ever happen to her! Come listen as she shares the amazing ways God blesses us in the midst of hard answers we never wanted. Liz Curtis Higgs is an award-winning speaker and best-selling author of 37 books, with 4.6 million copies in print. She’s spoken at conferences across the United States and in 15 foreign countries. Her messages are biblical, encouraging, down-to-earth, and profoundly funny, helping both sisters and seekers embrace the truth of God’s amazing, unchanging grace. Liz has been interviewed on more than 600 radio and television stations, including guest appearances on PBS, A&E, NPR, and Focus on the Family. Learn more about Liz at lizcurtishiggs.com. Thanks to our patrons on Patreon, we can provide an edited transcript of the show! Erin: Welcome, listeners, welcome to the deep. You can hear I’m excited today because I’m always excited when we have and interview. I’m especially excited because we have none other than Liz Curtis Higgs here with us. Karen, give us an introduction. Karen: One of the greatest delights of my career has been working with Liz. She is a sister of my soul, my heart, my spirit, and humor. We have so much fun whenever we’re together. We were just talking about it before we started the podcast—I think we have known each other now for twenty-three years. I met her when I was ten. We have had such a good time in all these years. Not just because of a shared, crazy, whacky sense of humor, but also because Liz is one of those rare people who knows how to laugh, but she also has such amazing spiritual depth to her. She’s so open to God. I had the delight of acquiring her first fiction for the Christian market. It was for Multnomah, a book called Mixed Signals, published in—did we say 1998? Karen: Since then, the amazing Miss Liz is the author of 37 books with 4.6 million copies in print. 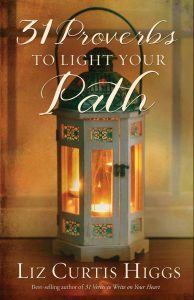 Her latest release, 31 Proverbs to Light Your Path, shows how 31 nuggets of truth reveal God’s faithfulness. Liz, welcome! Liz: It’s so good to be with both of you. I love the whole concept of your podcast: Deep. I hope deep speaks to deep today. Erin: Me too! That’s great. Thank you, Liz! So we always ask our guests first and foremost, what does the Deep mean to you? Liz: Well, the simple answer is the not shallow. And I actually do mean that, because it’s so easy to skim across the surface of everything. Even our very lives can become a surface experience. Maybe in part because of social media. In the ways in we connect with each other. Short little text messages. Little tweets on Twitter and so forth. Your life is reduced to a handful of words and photos that you’ve carefully curated. Deep is the opposite of that. Deep goes all the way to the soul. Deep goes where you’re not always really excited about taking people. The real you with all the ugly and all the pain and all the disappointments. The fears. The doubts. And yet, it’s the richest place of all. I think when someone allows you into their deep places, it’s a huge compliment. It’s a huge leap of faith and of trust. And actually, I think it’s where God asks us to live. Liz: It’s in the Deep with Him. And then with anyone that we trust to be with us there. Oddly, even though we know more people, I think, than we’ve ever known—and that’s know with a small k-know, it’s not the biblical know, as in he knew her in the biblical sense—that intimate knowing that’s just reserved for people that we trust. And that number for me is shrinking. Even as the number of people you know at the surface level expands exponentially, I think those we go deep with, we choose with care. Because we don’t want someone to take what we reveal in the Deep and scatter it in the shallow. Karen: It’s tough, and you’re exactly right because we live in a world that is so keyed in—at least in America—to social media. We’ve lost that art of spending time together. Of savoring and having fellowship together. I think that’s one of the reasons I like doing video calls more than phone calls, because phone calls are fine, but I want to see the faces. I want to feel as though I’m right there with people and able to savor that time together. And yet even though we have that capacity, we don’t take advantage of it very often. We’ve talked on this podcast about the importance of having support people around you when you’re working to fulfill a task God has given you as a writer. I think it takes great wisdom to choose the right people to invite into the Deep with you. They have to be people—like you said—who won’t be careless with what’s happening with you. But at the same time, they need to be truth-speakers. That’s what I love about you and about Erin. You guys speak truth into my life, and when I need the hard lessons, you’re there to say it. And I can receive it from you because I trust you so deeply. Liz: It’s a real gift—that friendship gift. It’s a whole special level. I think one of the real keys, Karen, is that we have known each other for such a long time. Liz: A new friend, you’re still kind of testing each other and seeing how deep they really want to go. But when you’ve known someone for years and have seen them at their best and at their worst, and you’ve seen that they’re not here, there, and everywhere, but that they’re solid, you just trust them a whole lot more. Maybe that’s an obvious statement, but old friends are rare. In some ways becoming more rare because of how we live and how we do life. Erin: What do you think that can mean for writers today? We’ve been talking in the past about how writers are being called to do more and more of the marketing, and they’re called to be on social media, and they’re called to get known—with a little k—to be known by so many people and to have all these superficial relationships because that’s all they have time for. What advice or words of wisdom would you have for somebody trying to deal with the balance there? How do they find deep friendships when so much time is spent on the little-k known? Liz: I guess I can only speak from how I’ve done things, and I’ve been doing this a long time, so that makes a difference. For me, I have tried to minister to people. I never think about building a platform or developing a following. Those kind of phrases, which, frankly, publishers love to use, are dangerous because they encourage the shallow. For me, it’s about ministry. Ministry might be a very simple, quick email to someone who’s reached out to me, to say, hey babe, I hear you. I’ve read what you’ve shared. I get it. I hear you and I’m going to pray right now as I hit send. And I do. I never promise people, oh I’ll pray about that for you, suggesting that they’re going on some permanent list. There is no permanent list. I don’t want to suggest that there is. Maybe there should be. But I promise what I can do, and what I can always do is stop at that moment, whether it’s on Facebook, Twitter, a tweet, email, whatever, I can certainly stop right then and say, “Lord, can we talk about Karen and her needs, or Beth and her needs, or Sue and her needs.” It’s a joy and a privilege to do that. It doesn’t mean okay, good, check that off the list. It’s not that. It’s just keeping a promise that I’ve made. I’ve now been at this so long. I’ve been a believer for 37 years. Liz: Isn’t that wild? It does seem like yesterday in many ways. So really from the day you meet Jesus, you’re ministering to people whether you know it or not. At some point you may raise your hand and actually say, “This is what I do all the time.” But the truth is even if you work at something that has nothing to do with “ministry,” you’re ministering all the time. It’s who we are. We’re built for that. So those of us who’ve been given a particular ministry of words, whether spoken or written, that again is something we’re doing all the time. So, when I have a book coming out, all I think about is, “How can I minister to those dear people who’ve crossed my path over all those years? How can I minister to them as I tell them about this book. It’s not just the book that I hope will minister, I want even the promotional piece that I create, or the time we spend in an interview, I want it to minister, if they never buy the book. Is that making sense? Karen: It is. It’s so much of the part of the fabric of who you are. That’s one of the first things that I recognized about you when I met you is that your heart is for people. It’s not your heart is for speaking, your heart is for writing. Your heart is for loving. God gave you so much, and so much grace, and you recognize that, and that flows through you to anybody who’s around you. There’s no sense of superficial about you. That’s a rarity, especially in today’s world. It was rare enough back when we first met, but in today’s world, that’s extremely rare. You look people in the eye, and you spend time with them, and you let them in in such a way that God can speak to them through you. That’s who we’re supposed to be as believers. It’s not that we’re all perfect, and we’re all fixed and everything. It’s that in our brokenness, God can speak to other broken people. We recently had a podcast that came out talking about when God’s answers aren’t exactly what you were hoping for. You’ve been through a pretty tough situation with the cancer that you’ve been facing. I’d like for you to share with our listeners, as a followup to that, you may not like God’s answers to your prayers, but you have said something that to me is astounding. But it’s not surprising because God does the astounding. You said, as we were getting ready for this podcast, cancer is one of the best things that ever happened to you. Liz: I know. It sounds really crazy. I suppose I could blame chemo brain. Except at this point I’m fourteen months past my last chemo, so I can’t use that excuse anymore. I’m now back to my own gray matter for what it’s worth. So I went to the Lord and I said, “Okay, Father, my calendar is actually yours. My time is yours. My life is yours. Lord, you knew what all these commitments were. You knew what was coming, and still you brought these commitments my way, so I believe, Father, that you want me to actually keep going and squeeze in some cancer stuff while I do that. Last year, 2018, I ended up doing 52 events. That is twice what I normally do in any given year. 52 speaking events. Liz: I know. And I had 20 cancer treatments. That is just crazy. And it’s not, “Oh, isn’t Liz amazing.” Are you kidding? This comes under the category of, “Oh, wow! Isn’t God amazing!” Because He made it clear I was to keep the commitments. I only missed two events in 2018, and both of them broke my heart because I didn’t want to miss anything. Actually it was in 2017, the start of the cancer journey. I was in the hospital—it was such a nuisance. But I just couldn’t go. They would not let me out. Karen: They should’ve brought them all to your room. Liz: I had this vision, you know—in the movies, when they leap out of bed and yank all the IVs out and they run down the hall with their hospital gown flapping. I thought about what that might look like and it was so ugly I’d better just stay in bed. So I did miss 2 events through the whole cancer—and I don’t call it my cancer journey, by the way, I call it my cancer adventure. Because it has been adventurous. God has taken me places I not only have never been, He’s taken me places I didn’t even know I wanted to go. The most life-changing place was to stand on the tiptoe of eternity. Because I went through all the chemo and all the radiation and all the stuff. They said, “Oh Liz we’re certain we have all this, but we’re going to go ahead and do some scans just to be sure. Wouldn’t you know, they found another tumor the size of a golf ball. Which really ticked me off because I don’t even play golf. When it came time for the next set of scans, they were not saying, “No worries.” We all kind of stood on tiptoe to see what would happen. When it came back: no evidence of disease, I’m going to tell you the truth. First thought that came to my mind was, “Well, shucks.” Because I had had in those three months—four months—I had time to prepare my heart for stepping into eternity. And I was pretty excited about it. I was on, as I always am, on a book deadline. Seriously it’s like, well, okay, more books to write. Which I know sounds crazy, but those were the two things that came to mind. “Okay, I’m not done. God still has work for me here.” Then of course I embraced that. If that’s were God wants me, then here’s where I want to be. I get that, except for the believer, even that part won’t be scary. That’s what I know now. I know that however bad it gets, God will be with me. The big ah ha of the cancer adventure is the faithfulness of God. He is so faithful. Everything His word says about Him is true. I’ve been teaching that for 37 years. Now I know that I know. He is exactly who He says He is. I would trade nothing for that discovery. It was amazing. So, there you go. Erin: Isn’t it astounding that when God doesn’t answer our prayers the way we want, our first reaction is that He isn’t faithful? And really the exact opposite is true. It’s to show us that He is faithful. Liz: Yes. I believe that with all my heart. Karen: It’s so hard for us to embrace that and to rest in it because we feel that so much of this is on us. You guys know, and some of you listeners know, I was recently hospitalized for nine days. I’ve developed some kind of lung disease, and there were two procedures, both of which they said my oxygen levels were so low I could stop breathing during them. Liz: Beam me up, baby, I’m ready! Let’s do it! Karen: That’s exactly right. It does change everything. When I came home from the hospital and I could play with my dogs, when I stepped outside this morning and the rain had made all the fragrances in the valley so rich and resonant, all I could think of was, “The earth is declaring Your glory.” I’m so glad to be here to see it, but I can’t wait to see it in person. There’s a sense of anticipation mixed in with, you know, “God, I know You’ll take care of those I leave behind.” But that sense of anticipation is so profound. Karen: Yeah, it did my husband. Liz: But it’s such an exciting thing to look forward to. Erin: Through the midst of all of that, and for all the good that it was, there probably were a few points here and there where you felt discouraged or down or frustrated, or anytime during your career. What do you do? What helps you when you’re feeling discouraged? Liz: I’m called an encourager, so theoretically I’m never supposed to get discouraged. Karen: Oh, yes you are. Liz: But of course I do. I love prayer. For me, prayer is an ongoing conversation. I have never done the thing where you sit down and you pray for ten minutes. That’s great if that works for you. I have an ongoing conversation. I don’t know if your cell phone does this—I’m not happy about this particular quality—but it tells me how many hours I spend on my iphone. I just hate that. Karen: Yes, screen time. Why do they do that? Liz: I don’t know. It is nothing but convicting. There’s nothing about that number that feels good. However, what would be kind of fun to know is my God time. Liz: I don’t know who would ever keep track of such a thing, but my heart’s desire would be for it to be twenty-four hours a day. At least the waking ones. Although, you know, we know He speaks to us in our dreams, so God is ever speaking. The question is: is Lizzy listening? And then responding. Liz: “Oh, yes, Lord, that other thing too…” Not to be flippant. I never want to not be reverent toward the Lord. But He is so close to us. We don’t have to go to a particular place and do a set of things. That intimacy with Him is real, and it’s all the time. It’s one of my favorite things to talk to an audience about because we often think we have to usher Him into our presence. He’s God. He’s everywhere. He’s in your writing study whether you invite Him in or not. I remind myself of that all day long. It also really—can I just say this—helps my behavior. If I think in terms of: the Lord is going to see it all, even the things in my mind. The Bible has so much humor in it. Do not say that it’s a dull and boring book. It’s so not. But then of course God says, “Why did Sarah laugh and say…” What a freak out that must have been for her. She thought she didn’t laugh out loud. But God heard it. She thought she thought, but He hears our thoughts. The scary thing is He knows it all, and the delightful thing is He knows it all, and is with us even so. What a comfort. What an encouragement. As a writer, as a woman, as a believer, I take so much comfort in knowing God is constantly present. I don’t have to reach out to Him. He is here. Guiding my thoughts, guiding my words, and as I said, if I’m aware of His presence, He’s even guiding my behavior. Heaven knows I need it. I’m grateful. Karen: Don’t we all need it. Liz: Doesn’t mean I don’t mess up, by the way. I still do. But at least a little more quickly my reaction is, “Sorry, Lord.” A little more quickly. Karen: I’ve been aware, lately, in working with dogs—I’ve had dogs my whole life and training them—and I have one little guy who is just over two years old, a Boston terrier corgi mix named Radar, and he is just solid enthusiasm. In working with him, in training him, he’s just so full of energy that he’ll be sitting and he’ll be doing great and the next thing I know he jumps almost to the top of a cabinet. He’s just out of his freaking mind. Most of the dogs that I’ve worked with, because I’m consistent with them, they train and they get it. But Radar, there’s just so much that he can’t contain about himself. And I think to myself, “This has got to be the way God has felt in working with me, because He’s so patient and He’s so consistent, and I’m just constantly going off the rails. Yet there’s such delight in that enthusiasm and in that excitement. I think God delights in each one of us, in our personalities. Even in the struggles that we face, He delights to be there and to draw us out of them. Can you share a final thought with our listeners? One final pearl of wisdom about something they can do even today to find a sense of encouragement in the face of discouragement? To get their focus where it needs to be? Karen: I love David because he’s a whiner. I can relate to that. Liz: And yet then a praiser. You know one psalm next to the other. He really needed a better editor. But anyway. It’s the fact that David is so yay…boo…that we can identify with him at many different places in our lives. For me, it’s just kept my face in the Word. And I don’t mean read for ten minutes. Again, I’m not that girl who has this organized, check-it-off plan. Never. But I know right where to turn, and I don’t dally abut it. I get my face in the Word. I make sure I have the Word everywhere available so that I can dive in, hear His voice. This is how He speaks to us, friends. When we listen to the love woven between the lines, when we sink in to the deep truths of His Word, it’s amazing how it will calm my spirit, help me take a deep breath, and press on. I feel it’s important that I throw something in since this is for writers. You can use this or not. The one thing that has been hard to do through the cancer adventure is to write. It’s the hardest part. I’m still speaking with no problem because, let’s face it, this girl never runs out of words. But the written word has been hard for me. And I want to say that because if anybody is dealing with any kind of anything that involves pain or medical stuff and you’re wondering, “Why can’t I get it together?” The Lord knows that about us. I think those words are cooking inside of us. And when they’re cooked, when they’re ready, I believe God will poor them out richer and deeper for the time spent cooking inside us. But it’s hard for me, because I’ve pretty much put out a book, or sometimes two, every year, and it’s been a little while now, since I’ve had a book out. I’ve kind of been getting through cancer. But I’m through it now. So now it’s time to get back to the writing, and I’m just praying God will use what I’ve learned and pour it onto the page. But I just want to give permission to your writer friends, if they’re going through some physical challenge, it definitely can affect your writing. And that’s okay. Karen: That’s absolutely not just okay, God is in that, and God will use that. Well, Miss Liz, I love you. So happy to have this time with you and to share your wisdom with our listeners. 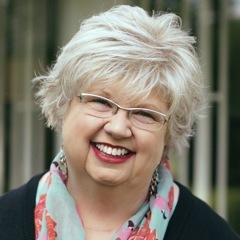 Friends, you can check Liz out at lizcurtishiggs.com, is that right? Liz: That’s me. And my favorite place to hang is Facebook, so come on over there: Liz Curtis Higgs on Facebook. I’m on everyday. I respond to people. It’s a connection point for me. Erin: We’ll put links in the show notes for everyone. Karen: There ya go. Thank you so much for being with us. Liz. May God continue to watch over you and bless you and anoint your words. Have you been blessed by an answer to prayer that you never wanted? Liz Curtis Higgs shares amazing ways God blesses us in the midst of answers we never wanted. Here’s a link to the latest book by Liz Curtis Higgs, 31 Proverbs to Light Your Path. Thank you to all our patrons on Patreon! You help make this podcast possible! 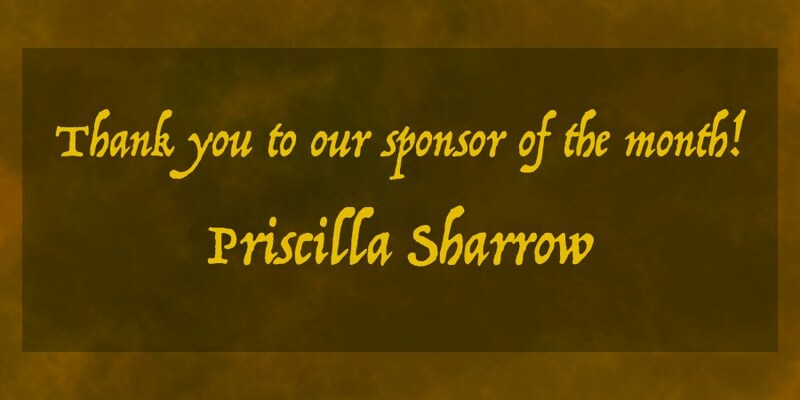 Special thanks to our Patreon sponsor of the month, Priscilla L. Sharrow! She’s writing a book about her experience with traumatic brain injury, so watch for that! Learn more about Priscilla at her website priscillasharrow.com. Thanks also to the folks at Podcast Production Services for their fabulous editing! Thank you for this excellent interview/conversation with Liz Curtis Higgs. I appreciate you both (and Liz) pointing your listeners to God through hard times as well as through times of joy. Rebecca, thanks so much for the encouragement! It’s such an honor to have someone like Liz sharing with our listeners.